At Parkview Arts Action, we think that art can be a useful tool when debating environmental issues – or when trying to raise awareness of them. 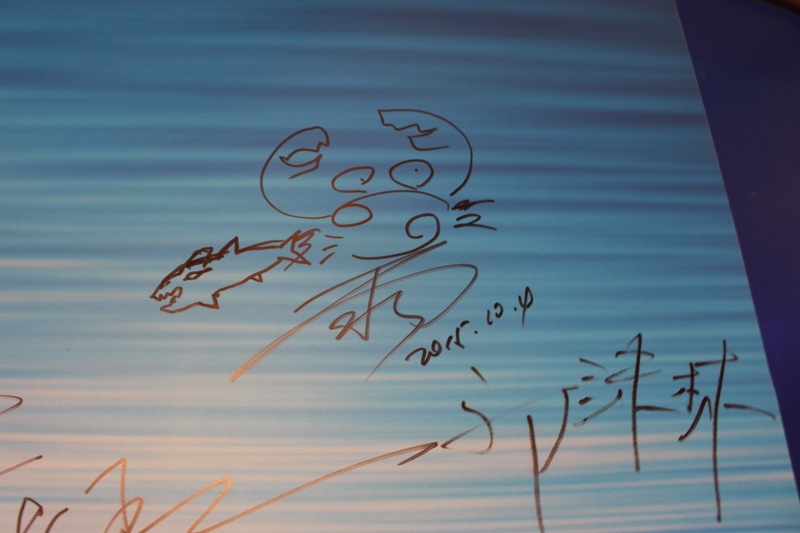 The Ωceans exhibition closed on September 25. We wanted to show just how effective art exhibitions can be in terms of engaging people with environmental debates. So we still need to raise awareness. Until people realise the mass scale of shark slaughter, they won’t understand the urgent need to curb consumption levels. Perhaps unsurprising, given the surge in popularity of the dish back in the early 2000s. When WildAid carried out its shark consumer survey in 2006, 35% of interviewees had already tried shark fin soup – with the majority of consumers being aged between 41 and 60. Let’s hope that new generations have a better understanding of the soup’s detrimental effects on our ecosystems. Let’s hope we can push this percentage down in the coming years. That is, they understood that removing a shark’s fins resulted in the shark drowning or bleeding to death. This actually shows an improvement in understanding. WildAid’s ‘End of the Line’ paper (2008) reported that a lot of people were misinformed about sharks’ fins, believing that the fins grew back after removal. Which is true – the oceans provide over 50% of our oxygen and provide sustenance for millions of people. If the oceans die, so do we. Read: 70% of people who have just realised that the plastic water bottle they are carrying is not just a handy, portable liquid-container, but a symbol of mankind’s failure to protect the planet. Step away from the plastic bag. Say no to that blue-fin tuna sushi role. We can all make little sacrifices to avoid completely sacrificing our oceans. This is an encouraging figure. The photography of the exhibition shows why the oceans are worth protecting – and what we stand to lose if we continue to kill large marine animals and dump plastics into the sea. In brief: the exhibition showed the beauty of the oceans with a sharp immediacy, in a way that scientific data just can’t do. 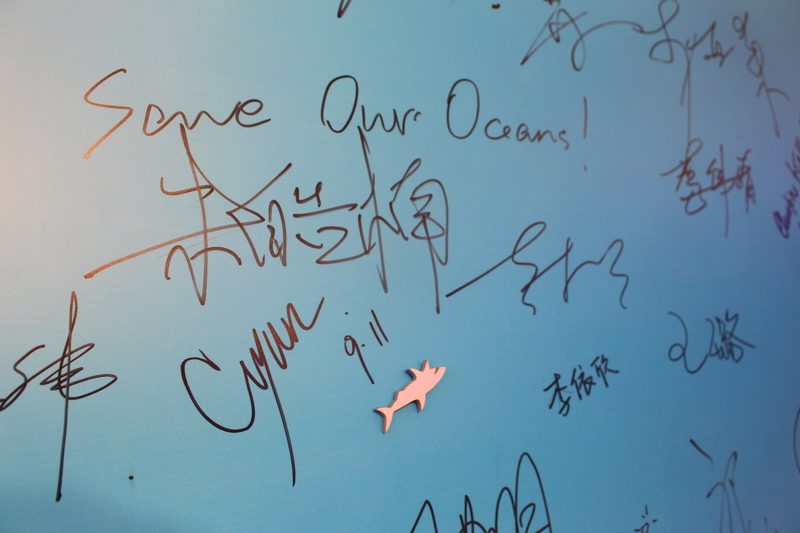 It encourages people to take action – in this case, specifically to avoid shark fin soup. 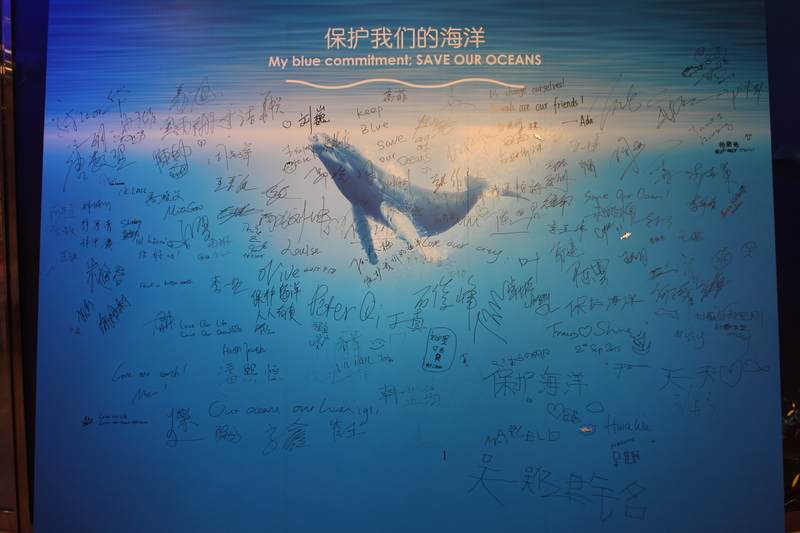 To help people commit to protecting our oceans, we had a large pledge board – below you can see some pictures.